Want to give your hair the celebrity treatment? Then you will *love* today’s featured brand – SHOW Beauty! This relative newcomer to the luxury hair care scene emphasizes products that pull double duty – using innovative natural ingredients to deliver shine, volume, and a sensational fragrance. I’m going to highlight a few of their star products today to get you on the way to the most glossy, glorious locks ever. This product is no joke. It’s a triple blend of argan (read: Moroccan), jojoba and caffeine oils, and it’s meant to give your hair a beautiful smooth, shiny and soft finish. If you’ve used oils like this before, you’ll know that they can sometimes leave a waxy, greasy residue on your locks – but not the case here! This oil goes on super lightweight and has an easy, spreadable consistency so it won’t just pile onto one spot on your head. 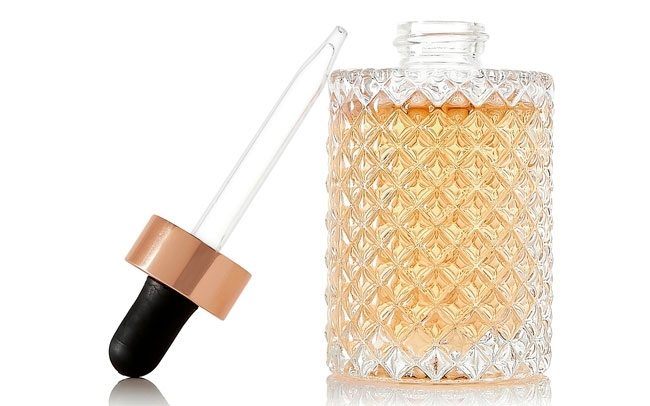 Plus the bottle looks tres chic on your vanity table! One of the things SHOW is known for is their custom fragrances applied to their products, created by fragrance innovators over at Givaudan. It’s used to nice effect with their Dry Shampoo, which goes on colourless (a must-have feature for dark-haired lasses like myself) and doesn’t dry out hair the way some dry shampoos can. The price may be a touch higher than you’re used to for a dry shampoo, but those two features alone – along with the sizable bottle this stuff comes in – make it well worth the price tag. If having thicker, lusher, Hollywood-style hair is your priority, than SHOW is your brand. They have several products designed to pump up the volume, but this luxurious cream takes the cake, thanks to its use of wheat protein and Vitamin E. Simply lather it into your hair after a shower and be impressed by the hair extension-like volume it delivers. There are many things I love about this hairspray. First and foremost, the formulation is great. I don’t feel like I’m dousing my scalp with something sticky – it’s made from a fine powder and definitely delivers hold without feeling chunky or stiff. Second, it also helps protect your hair from heat styling and UV rays. Finally, the bottle is beautiful and the scent is lovely – it’s a winner of a product that can be used every day you style your hair, even if you’re just doing something sleek and simple. SHOW may be a newcomer, but they’re already building up a loyal fan base for their attention to detail and the results their full line-up of products delivers. Available in Canada via Sephora, I seriously encourage you to check them out. The results are on par with what you’d get at a salon, so if you’re seeking out a new luxury hair care brand, then definitely put SHOW toward the top of your list to experiment with. 1) First & foremost: you must be a subscriber to the Canadian Gift Guide to enter this giveaway. It’s as simple as finding ‘The Gift of Gab’ box in the righthand column and dropping in your email or clicking follow. Then leave me a comment below by October 27, 2015 telling me what product you’re most interested in from SHOW. 2) Entries are limited to one per person / per email address / per household (or more if you score bonus entries). A random draw will be conducted on or around October 28, 2015 to select the winner, who will have 48 hours to respond before another winner is chosen in their place. 4) Bonus Entry #1: Follow SHOW on Twitter and Tweet about the giveaway, tagging them and me (@cdngiftguide) with a link back to this post. Leave a link back to your Tweet in a separate comment below. 5) Bonus Entry #2: Follow SHOW on Instagram and either Regram one of their photos or share a photo from Sephora / their site. Leave a link back to your shared image in a separate comment below. I subscribe by email. I am most excited to try out the dry shampoo. Have heard lots about it and hear good things. I Subscribe to trying your DivineThickeningLotion!. Looks like it would do wonders on my hair;-), Thankou! I’d be interested in the Finishing Spray. I’d be most interested in the treatment oil. I abuse my hair with a straightening iron and dye so I could use this. I want to try the hair oil The packaging is so pretty!!! I need the Divine Thickening Lotion but would love to also try that dry shampoo. I agree, the packaging is beautiful. I have never tried dry shampoo and would love to! I would like to try the Finishing Spray. The hair oil looks like something my dry hair would appreciate! I’m interested in the finishing spray. I have yet to find a hair spray that I really love. I really want to try the Dry Shampoo. Great option when you have kids and no time to shower! Lol. I’m interested in the finishing spray. I am interested in the finishing spray. Thank you! I am interested in the finishing spray. I am a Canadian Gift Guide subscriber and I am interested most in the Premiere Dry Shampoo. I would definitely try the pure treatment oil. I would love to try the Divine Thickening Lotion! Definitely interested in the Premiere Dry Shampoo . always looking for good dry shampoos. I would lo to try the Cocoa Butter Exfoliate. I’m most interested in the pure treatment oil! Sound luxurious! I would like to try the Lux Volumizing Mousse – the containers are so beautiful. for sure most interested in the treatment oil..sounds like amazing products. Love to try the treatment oil. I’m always looking for a new brand of dry shampoo, so that’s what I would love to try. I would love to try the Finishing Spray, I love that it doesn’t leave hair feeling sticky. I’m most interested in the Dry Shampoo. I have never tried it. I am a subscriber. 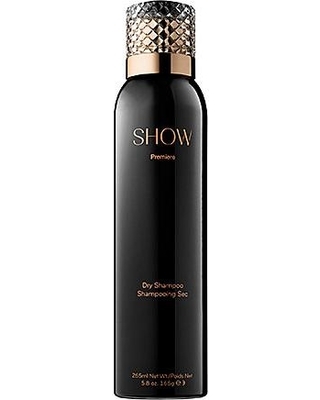 I am most interested in Show Beauty’s Second Day Luster Premiere Dry Shampoo. I love the packaging of all of the products but I want to try the Dry Shampoo the most. I have heard too many great things about. Subscribed to your newsletter. The Divine Thickening Lotion for hair sounds absolutely divine! I am looking forward to having thick, healthy, and luxurious hair, especially during these upcoming winter months. My hair needs this intensive lotion to rescue it from thin, dull, dryness. I want to try the Finishing spray. I would absolutely love to try the Pure Treatment Oil, especially during the dry winter season coming up. I would love to try the pure treatment oil! My hair is curly/wavy/frizzy and breaks easily. I am always on the lookout for upgrading my hair routine. I am most interest in trying the Divine Thickening Lotion. I’m a subscriber! I would love to try the dry shampoo, I’ve thought about trying dry shampoo as an option before but never have. I have very thick, very dark brown hair, I always wondered if it would work. Great option to try it out, thank you! The dry shampoo!!!! Every bottle of dry shampoo I have bought has sucked! I am most interested in the Divine Thickening Lotion. Luv to try one of your products! I love to try dryshampoo!!!!!! I am a huge hair oil fan for my dry and frizzy hair so I would love to try the Pure Treatment Oil! I’m most interested in the show beauty Lux Volume Lotion. My hair could use some volume! The pure oil treatment looks very useful. I’m interested in trying the SHOW BEAUTY Sheer Thermal Protect. I would love to try the Pure Treatment Oil. I’d be interested in trying the Sheer Thermal Protect. I would like to try the finishing spray! I would love the ‘Pure Treatment Oil’ as my hair can get pretty frizzy! I like the L’Occitane Hand Creams, especially Amande. I would love love love to try the dry shampoo! I’m always looking to try new dry shampoo so i’d have to choose that. Looks like a lot of great things. I am definately going to Like and Share. I am most interested in the Divine Thickening Lotion as I have baby fine hair and am always looking for something that will give the appearance of thicker hair. I’m most interested in trying this: Pure Treatment Oil. 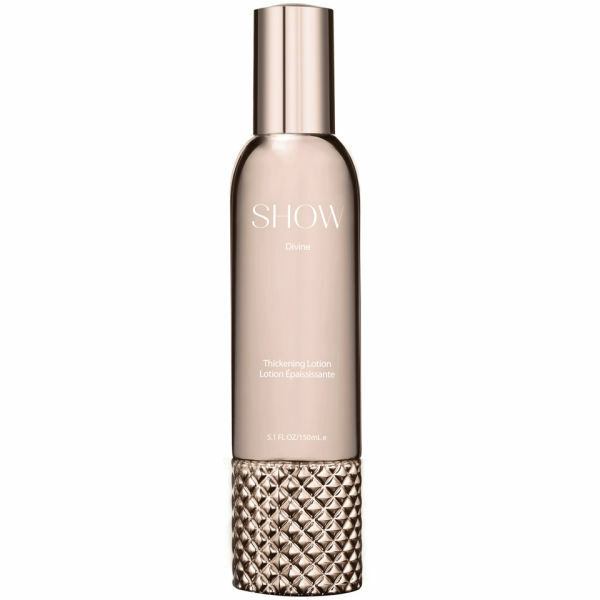 I would love to try the SHOW dry shampoo! I would love to try the dry shampoo.. my favorite invention ever.. I love all of the beautiful packaging. I’m definitely most interested in the Pure Treatment Oil. I’ve got thick super curly hair it is hard to keep hydrated.